This one comes to us from Daniel Melvill Jones. 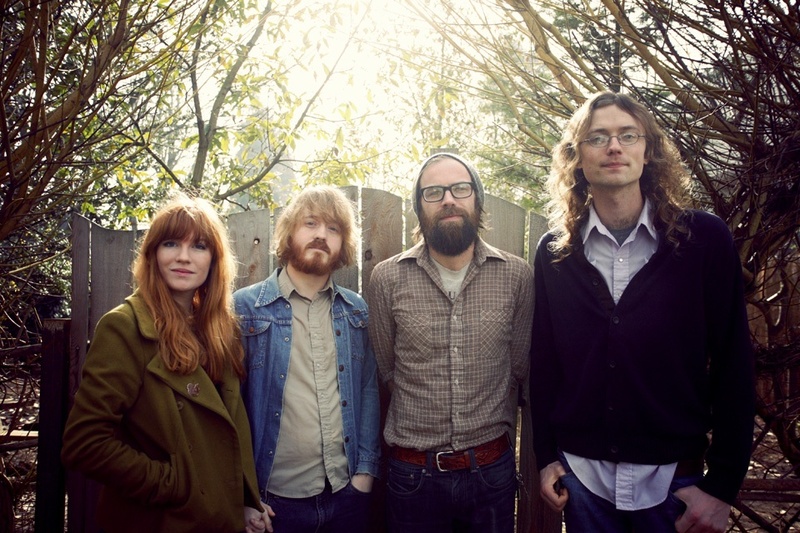 The Parson Red Heads are a beloved West Coast indie band with a cult following and consistent critical acclaim. They are known for their harmony-rich psychedelic sound, rooted in the American folk and rock traditions. Evan Thomas Way, with his wife Brett, have led the band over the past decade, but on a day-to-day basis Evan serves as the worship pastor of Portland’s Door of Hope church. Door of Hope is remarkable for the many celebrated creatives that have been part of its community, including Josh Garrels, Liz Vice, Wesley Randolph Eader, and The Bible Project. Evan has written an album of worship songs for his congregation, and heads their record label, Deeper Well. To learn more about Evan’s role in the church and his creative life, I met with him last summer. His music for the Parsons also allows him to express ideas that church music would not be the right context for. “It allows me to be more introspective about life, expressing doubt or pain. It allows me to sing from different perspectives. I’ve written songs from the perspective of characters who are not me.” He believes that Christians have a lot of freedom to be creative, but not all of that freedom is best suited within the context of church music. For someone who writes for Parson Red Heads with such freedom, it was striking to hear how seriously he takes writing music for the church. Although Evan believes in the importance of good quality worship music, he’s had to learn not to let that desire control his own worship. When he and his wife moved from L.A. to Portland and began looking for a church to attend, he found himself showing up ready to judge the music. “It wasn’t healthy. Everyone else was worshiping and we were being self-righteous, treating it like we were supposed to be entertained.” Eventually he and his wife decided to put aside the music and select a church purely for its health and good teaching. The very next Sunday they walked into Door of Hope, whose pastor, Josh White, is an experienced musician and talented songwriter. They’ve never stopped going. But Evan remains very aware of the “stinking good” talent in his church and the number of musicians who are writing songs for the congregation. “This is something that God has blessed Door of Hope with. What are we supposed to do with that? Are we just supposed to sing these songs on Sunday?” It is out of this desire that Evan and Josh White founded Deeper Well Gospel Collective. The label provides an avenue for musicians in the church to grow as recording artists, as well as letting these songs have a reach beyond their congregation. During my week in Portland, I attended several Door of Hope music practices. I watched as Evan played his guitar and sang backup harmonies, supporting the musicians who were leading the services. It was obvious that he was there to serve the church and those entrusted to his care. Although I was impressed with their talent, I left the city with a better appreciation of the role of worship and creativity within my own humble church. The instincts of a musician are often at odds with what healthy servant-leadership should look like. Evan Thomas Way’s daily work at Door of Hope and his music career with the Parson Red Heads provide an antithesis to that instinct, and the songs his congregation are writing under his ministry have reached into my own community. The Parson Red Heads’s latest album, Blurred Harmony, was released on June 9th to critical acclaim. It can be found on music streaming services everywhere, including SoundCloud. Evan’s gospel album, Deeper Well, is also streaming and can be downloaded for free off Deeper Well’s website. You can also hear Evan and the Door of Hope musicians on the church’s SoundCloud account.